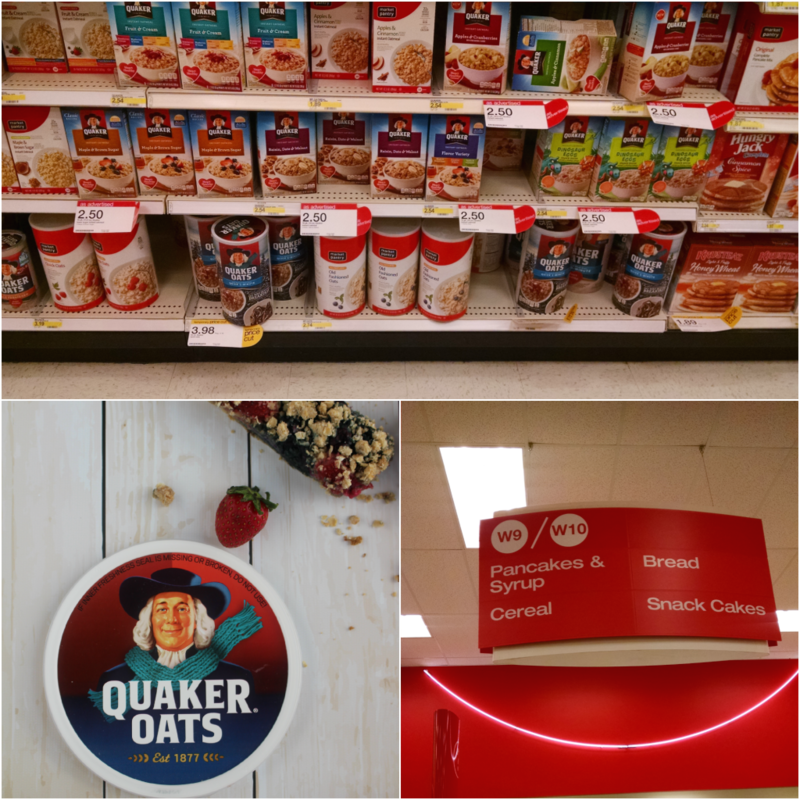 Right now you can even get $1.50 off your next purchase of Quaker Oats with this coupon here. 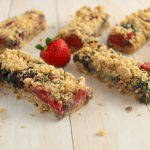 I used Quaker Quick Oats for this recipe, as its something my mom ALWAYS used when making her Easy Bars. 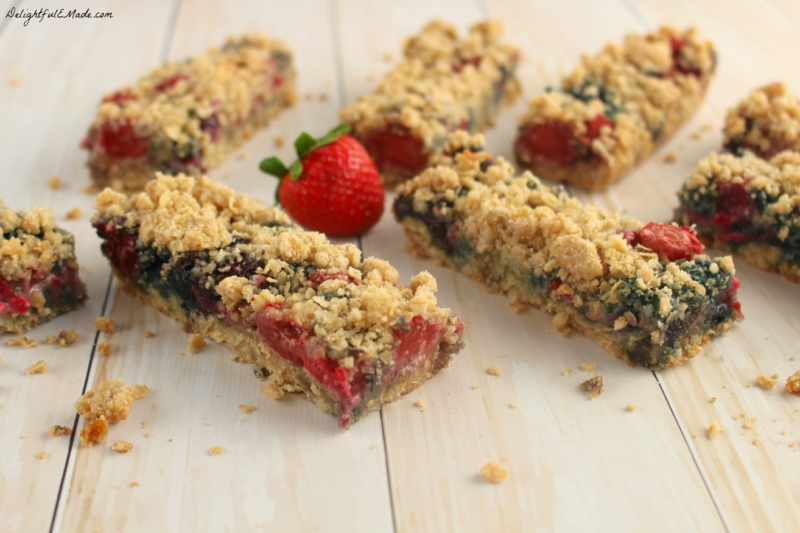 Her Easy Bar recipe, is actually how my recipe for Triple Berry Oatmeal Breakfast Bars originated. The wonderful oats along with the brown sugar and butter make a perfect crust. I’ve come to make these bars often, but especially during the holidays, or whenever we have family visiting from out of town. Everyone seems to love them! 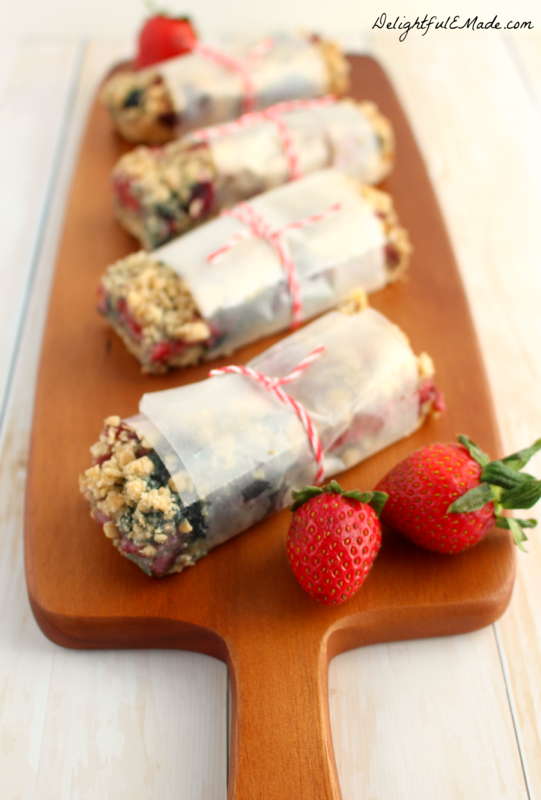 These breakfast bars are perfect to bake up, and wrap individually when you need a quick breakfast on-the-go. I’ve even made a batch, just to wrap up and store in the freezer, and then take out when we want something quick and easy to eat in the car during those overly hectic mornings. 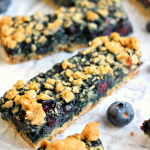 Triple Berry Oatmeal Breakfast Bars - one of my best Oatmeal Recipes! 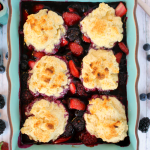 The combination of sweet, zesty Strawberries, Raspberries and Blueberries are baked to perfection with a rolled oats and brown sugar. 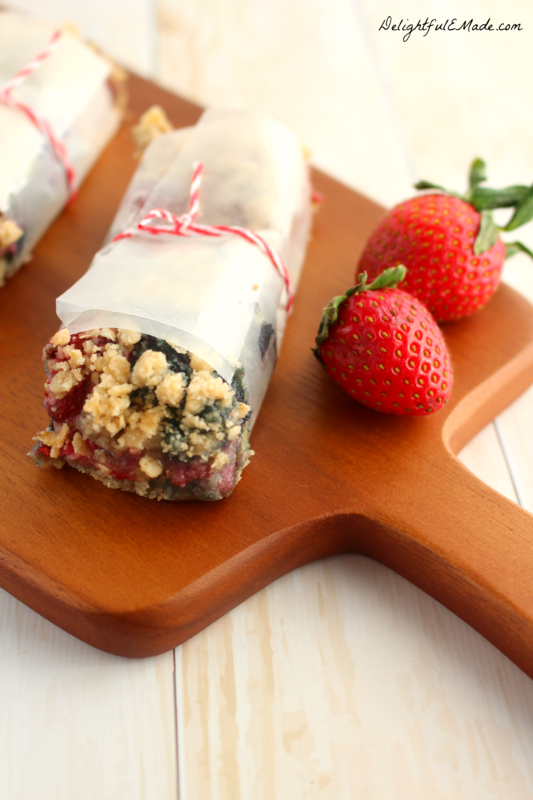 These breakfast bars make the perfect quick breakfast on the go! Preheat oven to 350 degrees. Spray a 9 x 13 pan with non-stick spray. Set pan aside. In a mixing bowl, combine the oats, flour, brown sugar, baking soda, and salt. Mix until combined. Melt butter and pour over the ingredients. Stir until all ingredients are thoroughly combined with the butter - mixture will be crumbly. Pour 2/3 of the oatmeal mixture (reserving the final third for the topping) into the 9x13 pan, and press into the bottom. Set aside. In a second bowl mix the frozen berries with the sugar and corn starch. Toss until coated, then pour the frozen, coated berries on to the prepared crust. Evenly sprinkle the berries with the reserved oatmeal mixture. Bake at 350 for 20-25 minutes or until golden brown. Let cool before cutting into long bars. 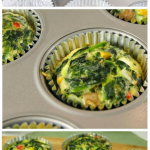 Refrigerate or freeze any leftovers. As you can see, these bars come together easily. Everyone in your family will love these breakfast bars, and they’re especially wonderful to bake and share over the holidays. Oh wow! These look amazing! Love the sound of them -- full of fruit and they don't sound too sweet. Very nice combo! Love these! I'd make them gf but they sound fabulous! 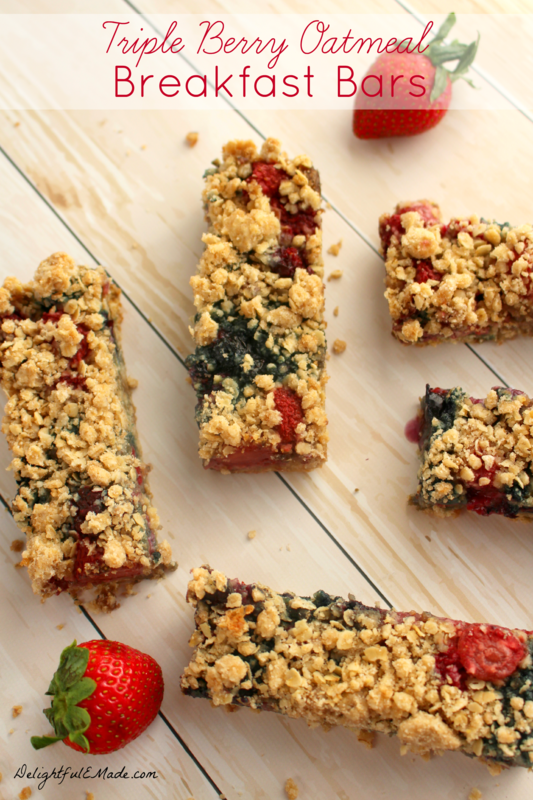 These bars look delicious and healthy and stuffed with fruit! These look amazing! I love homemade granola bars too! These berries in these are calling my name! These bars look amazing, Erin! We love berries and oatmeal together! 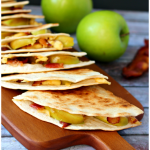 These sound like the perfect breakfast or on the go snack! I can't give this recipe 5 stars as a breakfast item. It is so sugary and delicious...but not at 7AM. 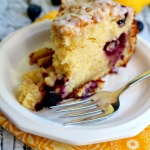 I will be making these again as a dessert! 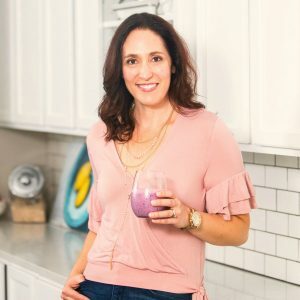 could I use old fashion oats instead of the quick oats? 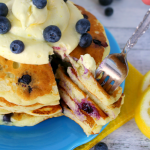 Absolutely delicious and super easy to make. A real treat!